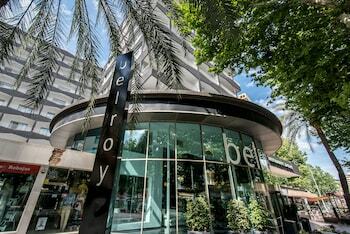 With a stay at Hotel Belroy, you'll be centrally located in Benidorm, steps from Levante Beach and within a 10-minute walk of Benidorm City Hall. Featured amenities include a 24-hour front desk, multilingual staff, and a library. Self parking (subject to charges) is available onsite. With a stay at Hostal Vintage Santander in Santander, you'll be within a 10-minute drive of Gran Casino del Sardinero and Santander Cathedral. The front desk is staffed during limited hours.